The castings for this project were reproduced by Cattail Foundry in 2007. 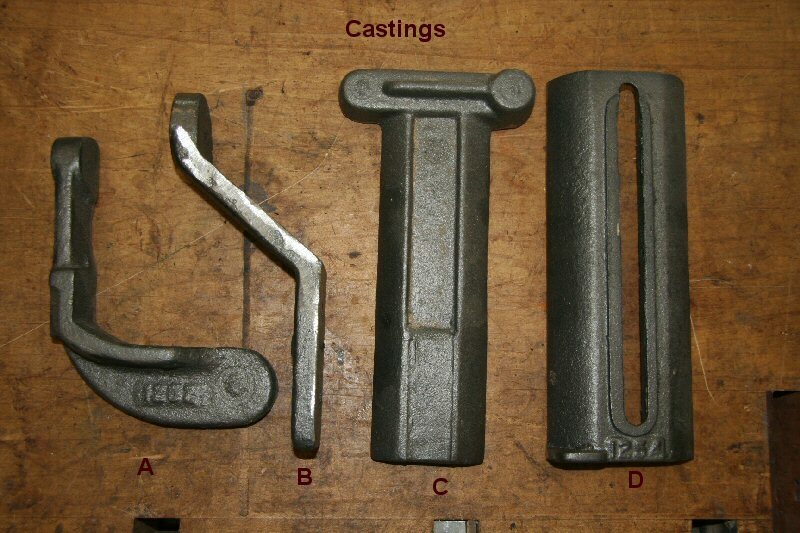 Total cost of the castings was $17.50 for each of the four parts (total of $70) plus shipping (about $15). 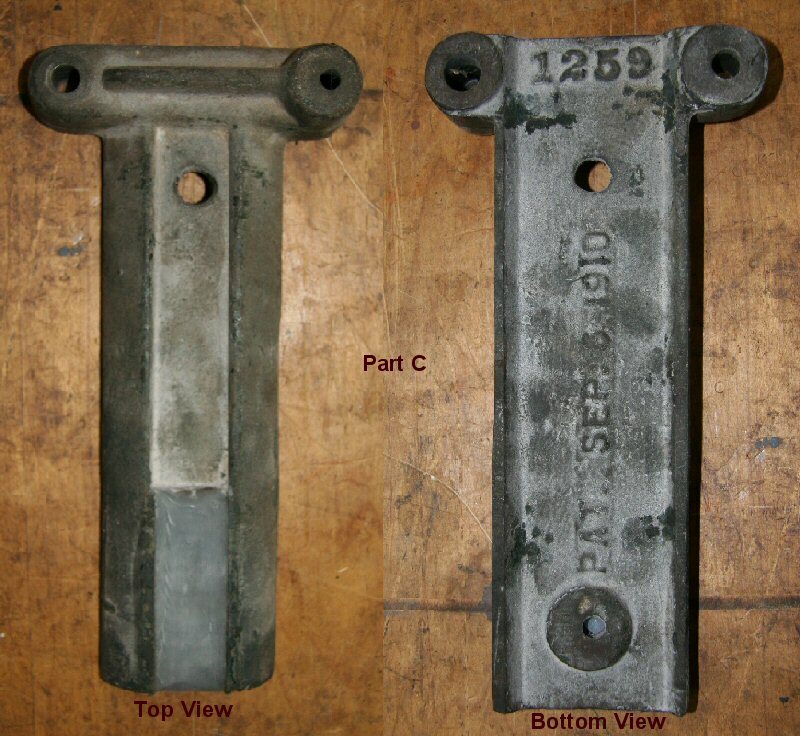 More castings can probably be made for approximately the same price if there is interest. On this piece, you will need to drill two 3/8" holes and drill and tap a 1/2 x 13 hole. 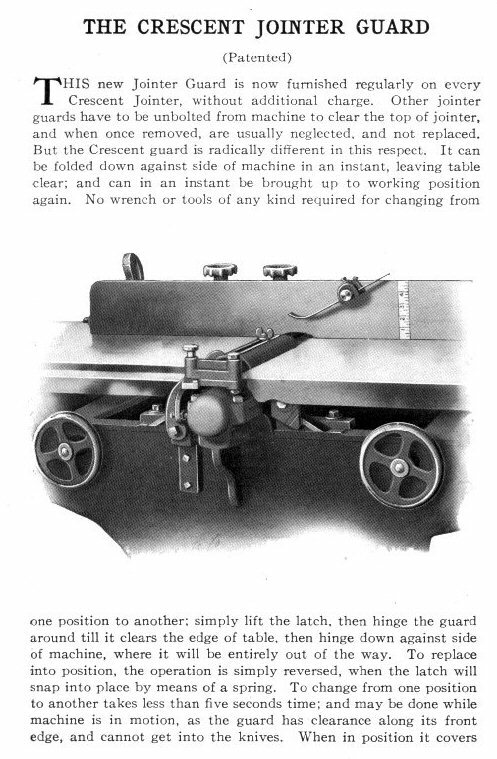 Also note that the top surface in the picture should be machined flat. While not noted above, it's mating surface on Part A should also be machined flat - they will rotate on each other. First, mill a 1" wide slot in the top piece. It needs to be about 3/16" deep. This is basically a track that Part D will slide in and out on when adjusting the width of the guard. 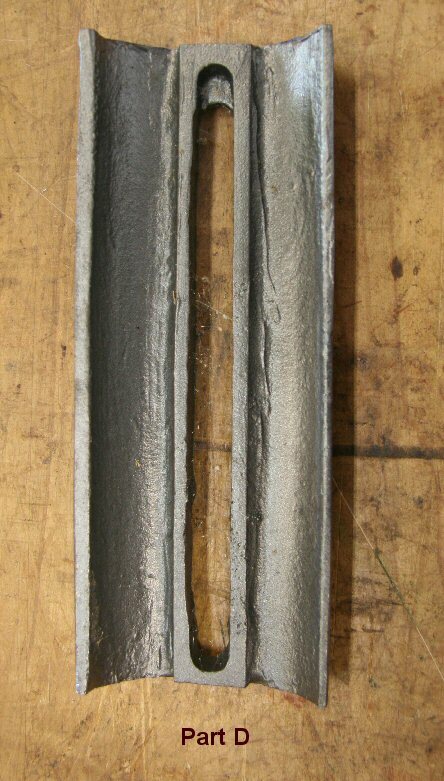 The Top View of the picture shows the milled out area filled in with putty for the casting in order that there was enough metal in this area for finishing. 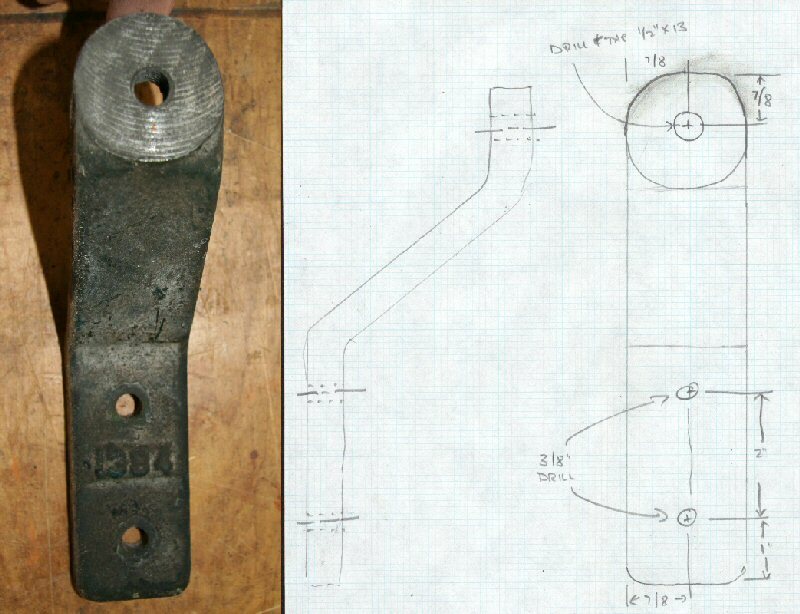 Next, drill and tap a 3/8 x 16 hole in the bottom of the milled slot according to the dimensions on the drawing. 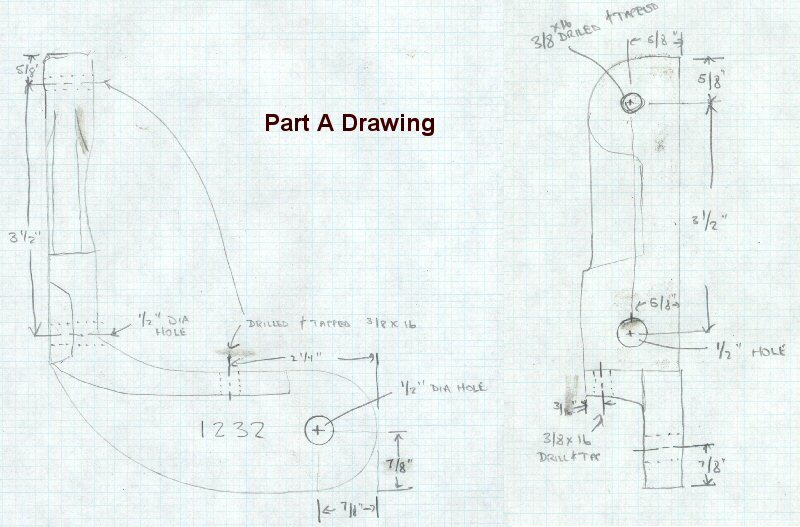 This tapped hole will hold a thumb screw to tighten Part D to Part C.
Next, drill a 1/2" hole above the drilled and tapped hole according to the dimensions in the drawing. The drawing does not show the diameter of this hole (sorry) but it is 1/2" dia. Then, drill the 3/8" hole in the top left side of the part. This will attach to the 3/8 x 16 drilled and tapped hole in the top of Part A. The bottom of this part as well as the mating portion of Part A should be machined flat since they will attach and swing on each other. Finally, you will need to drill and counter-bore the top right side. See Section AA in the drawing for details. A 1/4" hole will be drilled through and then it needs to be counter-bored from the bottom at 1/2" dia. do a depth of 1". 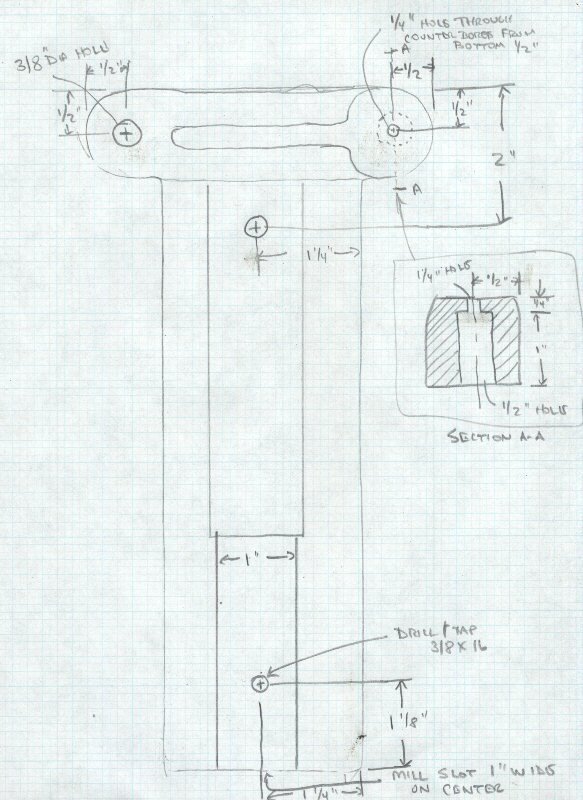 This counter-bore will hold the spring loaded button that will have to be made (drawings to follow). Part D is the top part of the guard that slides in and out. It will need to be milled so that it can slide in the slot created in the top of Part C. The piece needs to be about 0.995 wide (a bit less than 1") so that it will slide in the slot. You will need to use a 1/4" mill and mill down 1/4" deep. There are five pieces of hardware needed for this project. All but part 1 should be commercially available. Part 1 is the button that will be used to hold the guard in place and to release it to swing out of the way when not in use. It is made from two pieces. Part 2 is simply a thumb screw with a 3/8 x 16 stem 1" long. 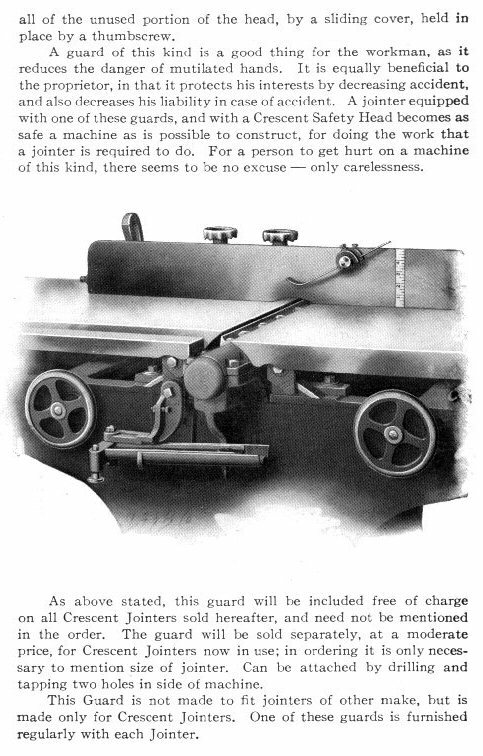 The thumb screw with a washer is used to tighten the top portion of the guard (Part D) to the bottom portion of the guard (Part C) and adjust the width of the guard. It goes into the tapped hole in the milled slot area of Part C.
Part 3 is a square head bolt, 3/8" x 16, 2" long. 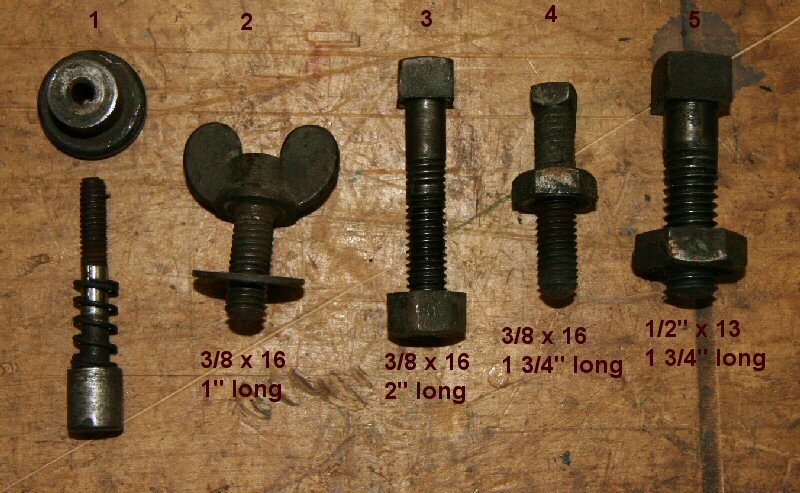 It is used to attach Part A to Part C.
Part 4 is a square head bolt, 3/8" x 16, 1 3/4" long. It is a stop that is screwed into the bottom tapped hole on Part A. It controls how far back the guard will swing when the guard is not in use. Part is a square head, 1/2" x 13, 1 3/4" long. 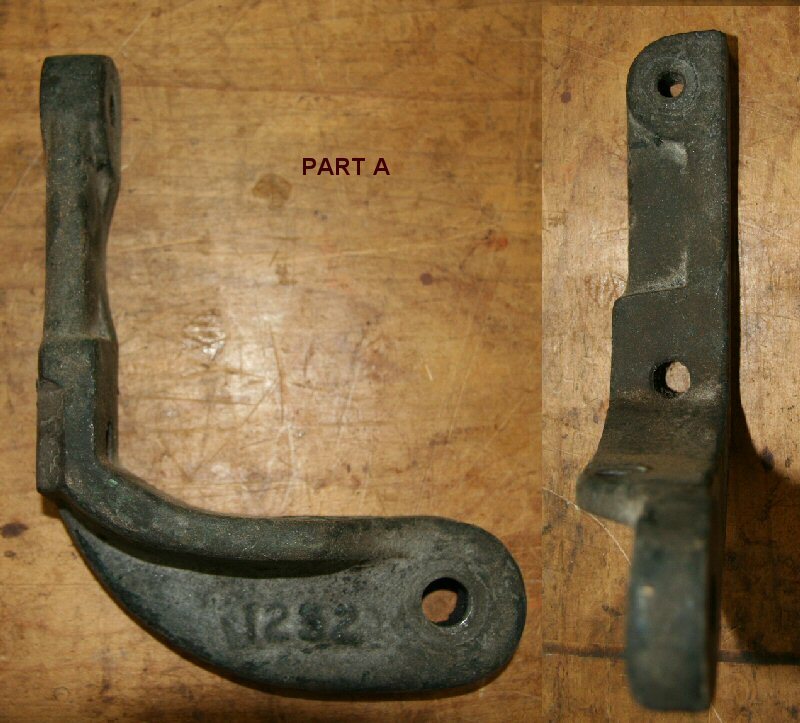 It is used to attach Part A to Part B.